Aare is an entrepreneur and Senior Specialist for Entrepreneurship Development in Pärnu City Government. He’s been working with student teams for more than 5 years. Aleksander is co-founder, CEO and investor at Buildit Hardware Accelerator, first startup accelerator in Northern and Eastern Europe investing into hardware startups. He has invested into 25+ hardware companies with founders from 14 countries. Allan is the Operations and Logistics Manager at Uber. He’s also a private investor and the Co-Founder of a strategy consultancy CoreGrow. Allan’s specialties include business processes management, optimization and modeling. He has a strong background in business development and finances. Andro has been active as a management consultant, mentor and trainer for more than 16 years, since founded his consulting company Vertex Consulting. He has supported managers in business development in more than 200 companies form over 20 industries and is founder and shareholder of several companies himself. Andro has published a book about business planning and wrote number of publications about business development and management. When it comes to business development challenges and international marketing planning, then Andro could add value to your ideas and plans. Head of Business Development at Tartu Science Park. Program Manager of the ESA Business Incubator Centre Estonia. Has 15 year experience in business and sales development and management in various spheres. Darja is the creator of catsuthecat.com, a creative business centered around a comic strip which has inspired a line of different products. The products are being sold to 20+ countries. Darja has a MSc in Engineering in Human-Computer Interaction from Tallinn University. Today she works as a UX designer at Nordea and teaches a graphics design course at the Estonian Academy of Arts. Team Lead and organizer of Estonia’s biggest startup competition Ajujaht. Exited with founding partners from CPD Ltd – company was sold and merged to Civitta. Currently working with Civitta to run Ajujaht.ee and different other projects. 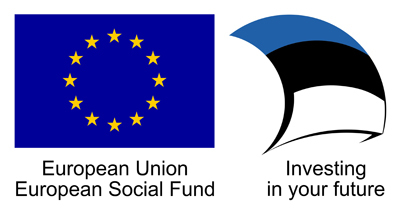 Also involved in a startup ecosystem development (incubation programs in universities, broader picture and partnership development in Estonia and abroad). IT, management/entrepreneurship, sales. Heiti has been in the IT sector for the last 15 years. Jobs as the Development Project Manager in Estonian Railways, Manager of Sales and Business Software Department in the big international IT company and in the biggest Scandinavian IT-company Tieto gave Heiti strong practical knowledge in implementing IT solutions in customer and sales management in Estonia and on the international level. He is also active in projects of the Estonian Association of Information Technology and Telecommunications. Sector experience: Sales and Customer Management, Project Management, Business Development, Changes Management. Indrek is an investment expert at SmartCap AS. He has many years of experience in working with startups. Indrek knows everything there is to know about business models, customer development, investor relations and startup finances. Indrek is also a member of the supervisory board at Cleveron. Indrek Tulp has PhD in Life Sciences focusing on molecular technology, He is co-founder of Selfdiagnostics. Juan Sáenz-Diez is a lecturer at the Department of Economics and Finance in EBS Tallinn and Helsinki programs. He is a Chartered Financial Analyst (CFA) charterholder, and holds an Executive MBA from IE Business School. He received a Certificate in Corporate Finance from the University of California, Berkeley, and an Aeronautical Engineering degree from Universidad Politécnica de Madrid.He has been consulting in diverse corporate finance, investment banking and financial analysis and audit functions in Spain, Silicon Valley and Estonia, with a focus on startup and growth innovation and technology companies. Kadri is the Co-Founder of NOAR, an environment for contemporary Estonian art. She has a strong background in business development, policy analysis and management consulting. She holds a master’s degree (MA) in Organisation Studies from University of Wawick – Warwick Business School. Kalev has more than 10 years of experience helping entrepreneurs to discover and develop business ideas. He is most useful for finding cheap ways to test and develop business models. Kalev has helped to think through both simple and high-tech business ideas in various fields: IT, consumer goods, services for consumers or businesses. Today Kalev works for Superangel – it provides expertise in customer and business development, team-building & hiring, sales & marketing and product development. Superangel takes our startups to the next level. Kalev is a DJ, radio host and music. After 15+ years in the creative industries as a music manager, event producer and record label founder/executive, he has found his passion in product development and is currently working as a Product Manager in Pipedrive. Kalev has a master’s degree in cultural management from Estonian Academy of Music and Theatre emphasising on music licensing in digital surroundings. He hosts a weekly radio show “Öötöö” on Estonian Public Broadcasting station Raadio 2 and every now and then plays records at different alternative music clubs. Kaspar Roost is the Co-Founder and Business Lead at Rikai Games, an independent game studio based in Tallinn Estonia. Among others they have produced Bit by Bit, a programming game for children. Kaspar has extensive experience in UI development, he currently works as a UI Team Leader in Digital Development at Swedbank. Studied in KTH Royal Institute of Technology in Stockholm Now contributing to Estonia’s tech-based companies success stories as a CFO of Tallinn Science Park Tehnopol. Kristo is the director of engineering at Intertrust. He is interested in distributed systems design and architectures of applications that handle big data. For the past 10 years he has been involved in optimizing energy production with renewable energy systems both in the wind and solar sectors. His hobby is doing 3D data visualizations. He has started up several companies, mostly filling a role that is the interface between business and engineering. Kuldar Leis is the owner of the first certified passive house in Estonia and the only one who builds certified passive houses here! He’s an experienced entrepreneur who’s previously been the top manager in Hoiupank, Marketing and Sales Manager in Ösel Foods as well as the Manager of Premia Foods. Külle’s present focus is on boosting business and collaboration in health technologies. She is leading Estonian Connected Health Ecosystem and coaching health startups at Tehnopol Startup Incubator. She is facilitating entry to new markets for technology based companies (including born globals) and has a significant international network to support it. That involves specific technology clusters and networks, but also science parks, incubators, VCs, angel groups, etc. Liis is an innovation consultant with a background in banking having worked for 6 years in SEB Estonia, half of that time as an innovation manager. She was responsible for helping to develop and execute bank’s innovation strategy with an end goal an organisation that is more customer centric, lean, open and adaptable. That meant running and internal incubator for voluntary employees to develop new business ideas. But also leading or being part of several new service development projects and advocating the need for change in skills, working habits and business development methods. She is the co-founder and ceo of ELEVATE by Garage48, bringing entrepreneurial energy, startup mindset and the power of experimentation to mature companies through innovation workshops, hackathons, design sprints and agile tech teams. Marko is the Chief Executive Officer at FrostFX. FrostFX is an animation and visual effects company based in Estonia. FrostFX is known for their exceptional experience in fluid simulation used in various fluid effects like water and fire. The company works mainly on feature films and commercials, and offers VFX, 3D animated features and post-production services. Specialties: business development, export markets. After working 10+ years as Creative Director, Art Director and Designer I founded Guaana – a platform that breaks the walls between scientists, disciplines and nations. I also advise the high-end loudspeaker manufacturer Estelon in branding, I am a member of ADC*Estonia, a mentor at Tallinn Business Incubator and a founding member of Reklaamiklubi (advertising club). Mart Kikas is Certified Innovation Coach, Executive Coach, Consultant in Business Models, Strategy and Leadership, Start-up Mentor. Lecturer at the Executive MBA and Business Innovation MBA programmes at Estonian Business School. Visiting lecturer at Estonian Academy of Arts, Ternopil Business School (Ukraine), Politécnico do Porto (Portugal). Martin is the Head of Startup Incubator at Tallinn Science Park Tehnopol, Former positions in the field of online marketing and sales of web-based products have led to the growing interest towards marketing and web entrepreneurship. The portfolio of experiences combines starting up new ventures, marketing & PR strategy management, mentoring, advertising, design, online media and web. Mati is an entrepreneur since 1998. He is a sole owner of Furanio, a company operating with sales, installationa and maintenace of construction materials. Mati has international experience at Latvian, Russian, Finnish, Swedish and Norwegian markets. He has been a mentor since 2011. Merily Leis is a serial entrepreneur with a track record in the tech and lifestyle industry. She is the digital marketing manager at Scoro – a work management solution for professional and creative services. Merily has experience in digital marketing, branding, and growth hacking – and she’s a mentor and consultant for early-stage startup entrepreneurs. Olavi has been an entrepreneur for the last 10 years. He has experience in many different fields. He is the founder of a startup InLimit. Piret is a head of fashion stylistics BA curricula in Estonian Academy of Arts, Piret has also been a project manager in several fashion design projects like ERKI moeshow, Disainiöö and Tallinn Design Festival. Priit is an experienced event producer and entrepreneur of creative industries sector. He has been working with students of recreation and has valuable experiences in working with creative teams. A graduate of Estonian Business School. Co-founder and current CEO of Plumbr, Priit has built several development teams from scratch. Before founding Plumbr he was heading a 60-person Business Unit in Nortal.Priit holds an MSc and an MBA and is able to hack our databases to improve his metrics dashboards. He is a renown mentor of several start-up teams. Ragnar is a serial startup entrepreneur and Co-Founder of a simple CRM software called Pipedrive and a startup boot camp Garage48. He loves to help early stage startups entrepreneurs. Besides mentoring he regularly shares practicals lessons in different conferences and startup events. Specialities: marketing, new markets, startup-events, lean startup, accelerators/incubators, funding, hiring, getting traction. Raul has more than eight years of experience in different fields of software testing, development and leadership. He is the Co-Founder and CEO of a start-up developing a simple weight control solution. Previously Raul worked 7+ years with managing vendors around the world for Skype (now part of Microsoft). He was one of the first Scrum Masters in Skype. Raul has a Master’s Degree from University of Tartu’s “Design and Development of Virtual Environments” program. Raul is the Chief Executive Officer at Skuuper, a professional and cost-effective translation service for SME-s. He has a strong track record in the finance sector, Raul was the head of Estonian Financial Supervision Authority for 8 years. Raul can provide help with business models, finances, raising money and customer development. Ruth-Helene Melioranski is a partner in the design and architecture consultancy MELIORAD. She has experience in strategy, service design, product design and environmental design. She was the founding head of Estonian Design Centre and the leader of the Estonian Design Year. Today she is a final year PhD student in the Estonian Academy of Arts (EAA) and a part-time researcher in Tallinn University of Technology’s (TUT) Design Chair developing the Design & Engineering joint international master’s programme of TUT and EAA. Sebastian is specialized in revenue lifecycle management, digital marketing, design, product management and finances. Sven is the General Manager of Tartu Biotechnology Park. He is experienced in healthtech, biotech, and foodtech sectors and provides knowledge in road-map and business plan creation, financial planning, product development, market fit analysis and in intellectual property topics (patenting). Taavi is a Partner and Digital Marketing Strategist at Convertal. He’s also the Founder and CEO at Deltasight, a big data company gathering and visualizing the world’s innovation data. Taavi holds a MSc in Local Economic Development from London School of Economics. He has a strong background in business development an marketing. Co-founder of Actual Reports. Experience in launching scalable business models that link business and software development (SaaS and self-service) . Strong skills in building proof of concept and MVP. Open minded, agile and enthusiastic programmer. Tarmo is an experienced media professional. He has a strong background in journalism, communication management, publishing and storytelling. He is very interested in the European startup scene. Tarmo is the Editor in Chief at Arctic Startup and the Co-Founder of CoFounder Magazine. Tarmo also contributes to the startup scene as a business coach. Co-founder, CEO @Nevercode, entrepreneurship enthusiast, inspiring business development and pitching trainer and executive coach, lecturer at University of Tartu. Ulvi is the CEO and one of the owners of Baltic Intertex. She started from zero and now has more than 19 years of experience of how to run product development company for clothing fashion designers. She is always very open minded to new ideas and challenges. Her specialties are leadership, marketing, team building and product development. Vaido is a business mentor with a long-time experience mentoring early-stage startups both in Estonia and internationally. Currently he is working as a Project Manager in Tartu Science Park. Veikko is an investor, entrepreneur, long-time mentor and couch, especially in the investment, financial, management, strategy and innovation fields. Currently, Veikko is the Chairman of the Supervisory Board at Luku-Expert, Chairman of the Supervisory Board at Ecoprint, Chairman of the Supervisory Board at Finora Capital, and Member of the Supervisory Board at Rentest. On top of the investment and leadership approach, Veikko is striving to build up an infrastructure that would help enhancing investment and entrepreneurial literacy.